You are here: Home / Family / Work, A Place For Family! Here’s a few things I love. 2. Being able to work in a place where family is valued. 3. 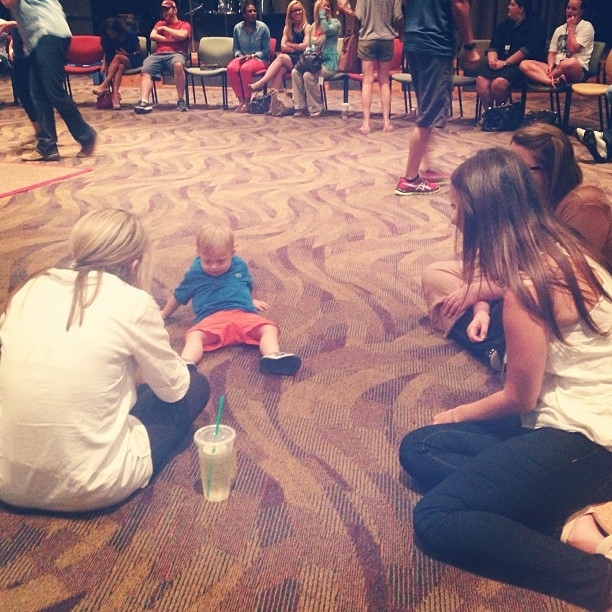 Being able to work in a place full of people who love our little boy like he was one of their own. I work at a church that has multiple Sunday services and this morning I was working with some of our online content up in the production room. 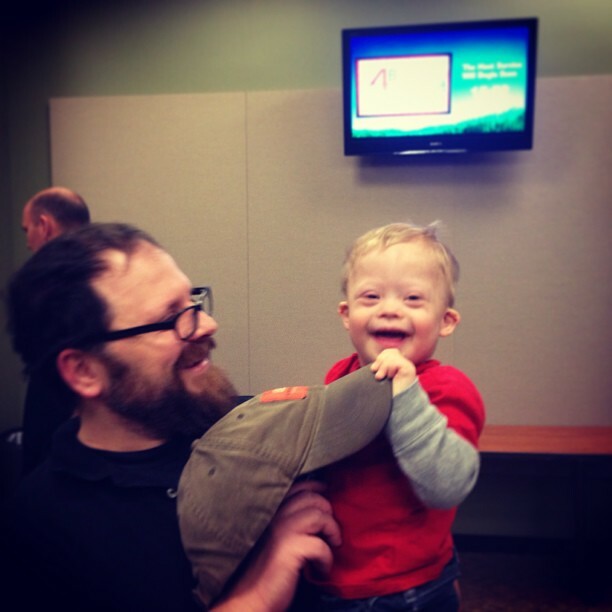 Since my wife was working this morning I brought Noah to work with me. 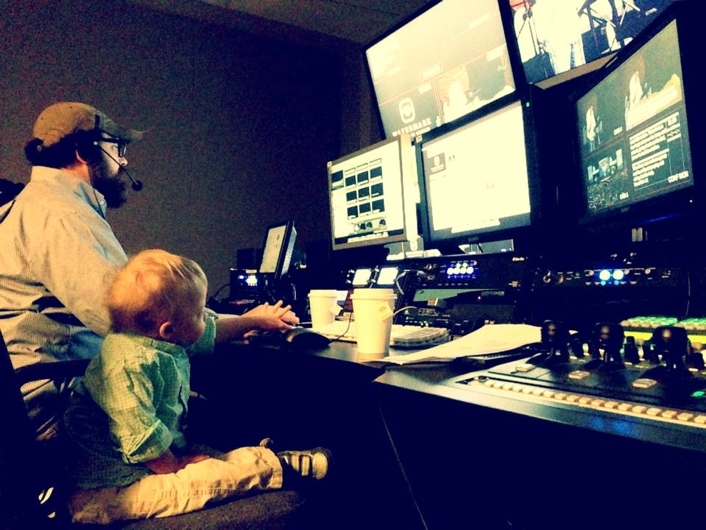 Noah’s learning how to work the video switcher! The first service he hung out and played in our church’s awesome children’s ministry. In between services I went and grabbed him for a little bit. As I was about to take him to the children’s ministry for the second service one of my co-workers welcomed Noah to stay and hang out with us in the video production room. 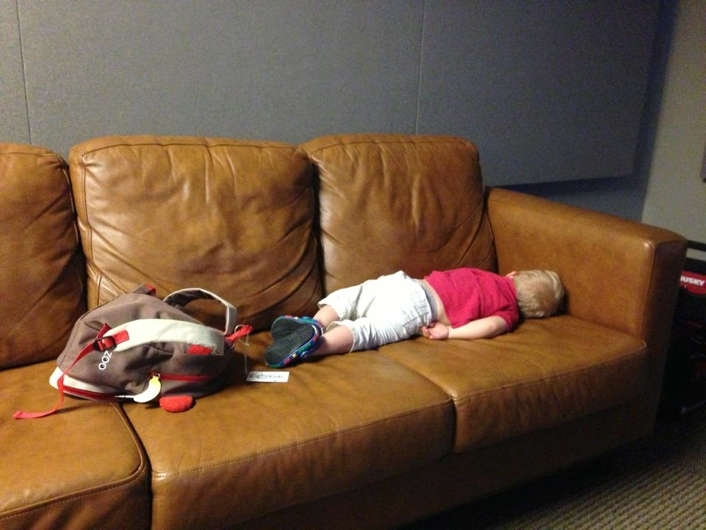 And of course Noah quickly feel sound asleep on the first couch he found! I also hope you work in a place where people love you, and love your family. It makes it very easy to get out of bed in the morning! I notice that you are a Christian and often post comments concerning your religion. What is your feeling about atheists? Thanks for your comment! I’m not sure I understand your question though. Can you elaborate a little but more on what you are asking?